That’s what I read on one of my favorite foodie sites, Delish (www.delish.com). And the authors went on to prove it by sharing 25 very different things you can do with this potato. What’s the MAGIC POTATO they’re referring to? Frozen hash browns. And as I read through their ideas, I have to say they’re spot on. 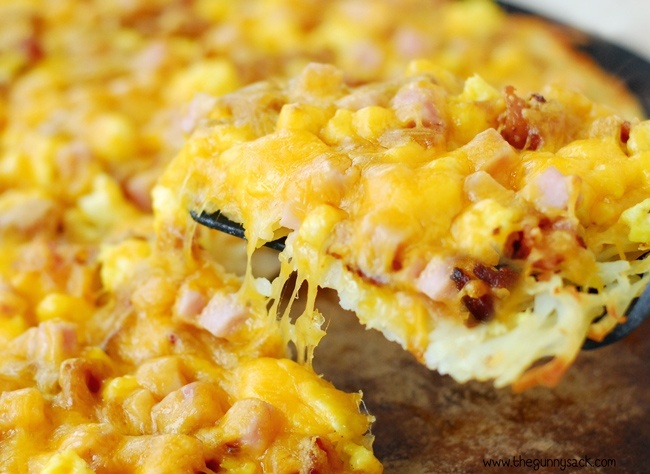 There is definitely more to frozen hash browns than those famous and favorite Funeral Potatoes! I’ve talked about them before, but since so many new and unique ideas keep popping up, I thought the topic deserved another visit. A perfect example would be this delicious dish called Croque Brown Madame. It’s so easy to make. Just smear a cooked hash brown patty with 1 tablespoon each mayonnaise and Dijon mustard. Then top the patty with a slice of deli ham and sprinkle some grated gruyere cheese over that. Broil this until the cheese is bubbly and top it all with a fried egg. If your people aren’t crazy about fried eggs, go the scrambled route. It’s all good. Another outstanding example of how magic frozen hash browns are is the Potato and Rosemary Pizza. Simply stretch 1 pound of pizza dough into an 18-inch circle and transfer it to an oiled baking sheet. Top with 1 cup of uncooked hash browns, 1 cup grated Fontina cheese (really, any cheese works; Parmesan and mozzarella are fine, for instance). Then sprinkle 2 teaspoons chopped fresh rosemary and a little crushed red pepper over that. Season it all with salt and pepper. Bake in a 550 degree F oven until the crust is golden brown and cooked through, about 20 minutes. Top with lemon zest and serve. This is an amazing flavor and texture combination. Similar to the pizza theme is the quesadilla. 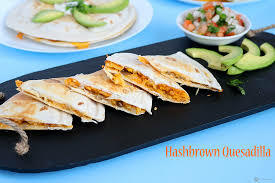 You gotta try a Hash Brown Quesadilla. All you do is mix together 1/2 cup each cooked hash browns and cheddar cheese. Then spread this mixture over ½ of a large flour tortilla. From there you can top it with whatever you like or have on hand. The folks at Delish suggest topping it with avocado slices and hot sauce and season with salt and pepper. From there you fold the tortilla over the filling and cook it in a seasoned panini press or in a buttered nonstick pan (just until the cheese is melted and the tortilla is crispy). We also like to add finely diced bell pepper, chopped onion, and chopped cilantro. The sky’s the limit as to all the flavor combinations you can put together. And one last hash brown magic idea is the award-winning Spinach, Artichoke and Hash Brown Dip. For this party favorite, you mix together frozen chopped spinach that’s thawed and drained (2 cups is perfect), grated Parmesan cheese (anywhere from 1 to 2 cups), chopped artichokes from a jar (depending on how much you like artichokes, 1 cup or more is good), cream cheese (at least an 8-ounce package is best), some sour cream and mayonnaise (we like ½ cup of each), and garlic powder (experimenting showed us 2 teaspoons is the right amount). Season with salt and pepper. Then transfer this mixture to a buttered 1 ½ quart baking dish and top everything with uncooked hash browns (at least 2 cups). Drizzle with olive oil and season with salt. Bake on the top rack of a 425º F oven until the dip is heated through and the hash browns are golden and crispy, 40 to 45 minutes. 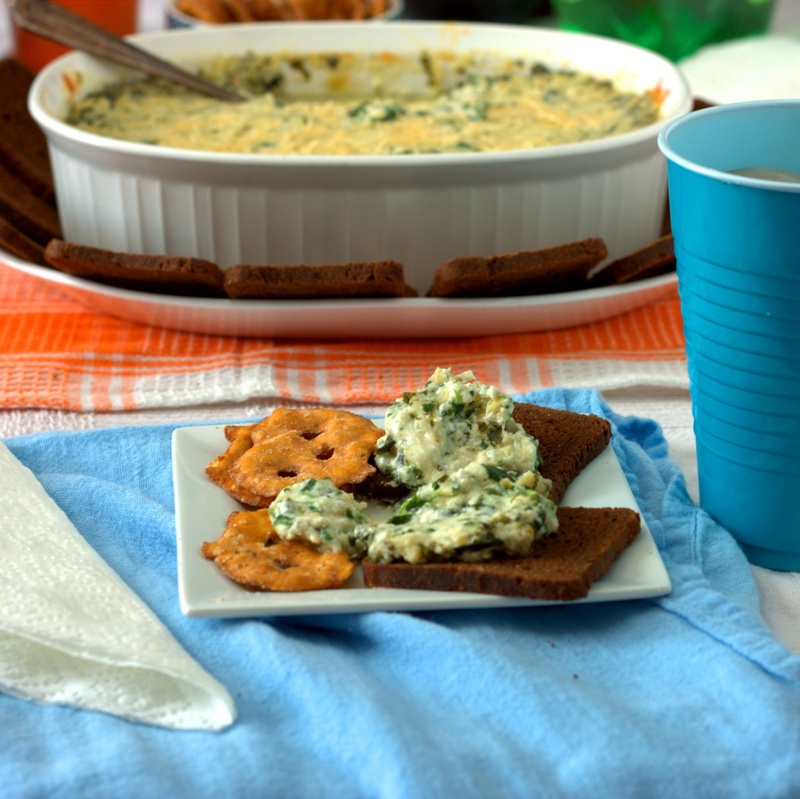 Pita crackers, rye crisp, or tortilla chips are wonderful with this dip. 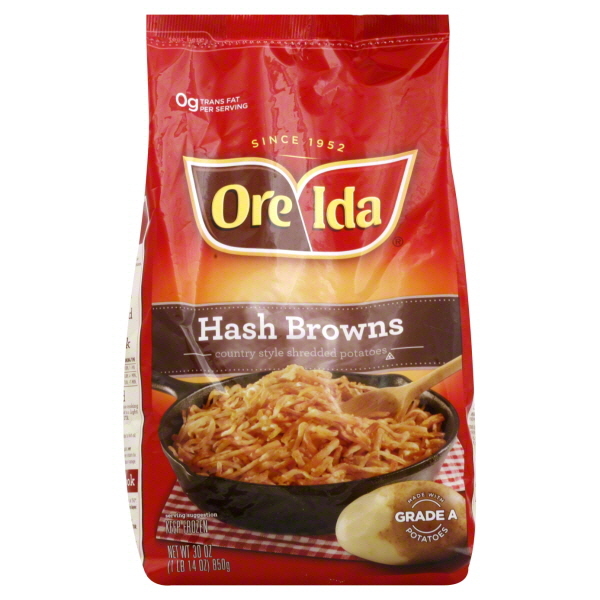 You likely have things you like to do with hash browns as well. Don’t hesitate to share your ideas. 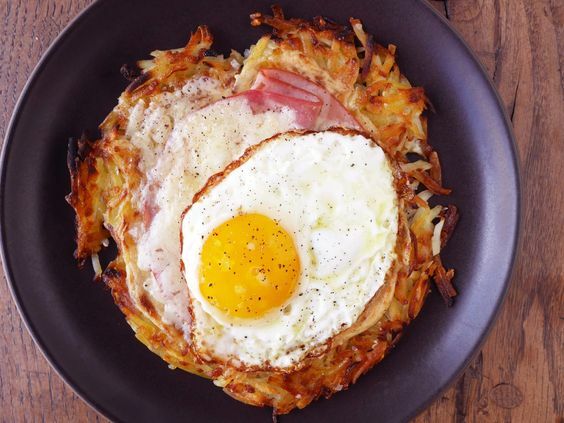 And give these suggestions as try—see for yourself why French fries and tater tots have nothin’ on frozen hash browns!